Insurance reform has meant a lot of changes, especially for families. Here are some aspects of the Affordable Care Act you should know about to help keep your family healthy. 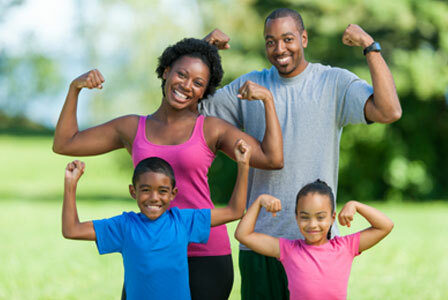 Health insurance plays an important role in keeping all family members healthy. Without it, medical care can place a substantial financial burden on a family’s income. Here are some recent changes to health insurance laws you should know that better equip you to take care of your family’s health. Are you unhappy with your pediatrician? Or do you love your pediatrician? Under the Affordable Care Act, your family may be able to keep its current doctors depending on the plan you choose, said Mark Colwell, director of consumer marketing at GoHealth. Insurance reform ensures preventive services that benefit entire families without charging you a copayment or coinsurance if you use a network provider. “There are many free preventive services available, and they include autism screening, behavioral assessments, developmental screening, hearing screening for all newborns, vaccines, obesity screening and counseling, depression screening for adolescents and vision screening,” Colwell said. Children’s dental coverage is also included in the new health plans, he said. Pre-existing health conditions aren’t something we like to think about as parents, but in the past, insurance companies could refuse insurance to children with pre-existing conditions. Now, health insurance companies can no longer refuse coverage or charge more because of this. John O’Brien, a professor at Clark University, said families will see other beneficial changes as well. “For most Americans, health care will take a smaller bite out of family income,” he said. New health care reform will provide more security for seniors and family caregivers, and provide Medicaid expansion subsidies and tax credits, he said.